Making good on a promise to reimburse cardholders affected by last year’s temporary service disruption, RushCard has agreed to pay up to $19 million (plus $1.5 million in legal fees) to settle a class-action lawsuit stemming from the outage. 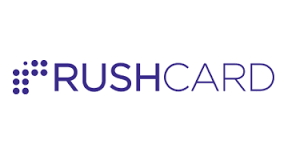 Under terms of the deal, which remains subject to court approval, RushCard will pay at least $100 to each user who couldn’t access funds during the outage last October, with payouts of up to $500 for customers who suffered financial losses due to the disruption. The total settlement amount reportedly includes fee reimbursements RushCard already has paid out and fees waived during the four-month holiday from card fees the company offered following the disruption. The class-action suit was filed in U.S. District Court for the Southern District of New York on Oct. 23. Caused by a technical glitch while changing processors over last year’s Columbus Day weekend, the outage left more than 132,000 RushCard holders unable to access the money in their accounts for several days, according to a report by the Washington Post. Angry cardholders took to social media to complain while the CFPB also used social media to solicit complaints related to the incident for its consumer complaint database, a first for the regulatory agency. As a result, the CFPB saw a spike in prepaid-related consumer complaints between October and December 2015, although overall complaint volume for prepaid has never risen higher than slightly more than 1 percent of total complaints in an individual month.